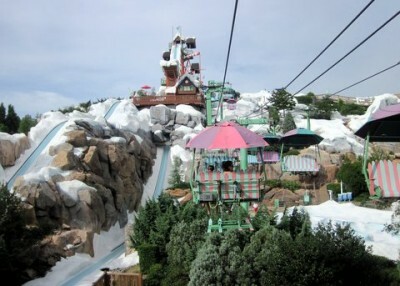 Some seasons at Walt Disney World you probably know what to expect, even if you’ve never been during that time. Florida is humid and hot in the summer, crowded over Christmas, and watch out for the spring breakers! But autumn “falls” off our radar as a vacation time. 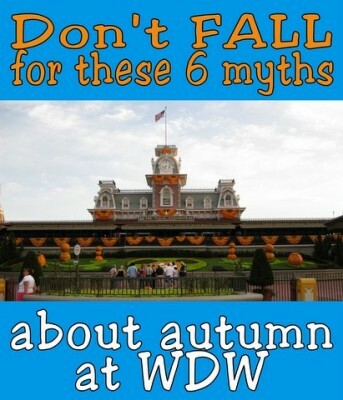 In case you’ve thought about visiting the Mouse during September, October, or November, we’ll debunk six myths about touring WDW in the fall. First, we’d better define the time: “Fall” encompasses everything between Labor Day and Thanksgiving, no matter when your kids went back to school or what the thermometer says. I bet you’ll fall for this season too, if you know what to expect. While some weeks of fall can see very low crowds — try the week after Labor Day, for example — other weeks and areas can be noticeably busier than expected. 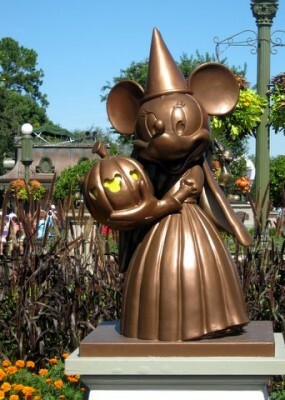 Mickey’s Not-So-Scary Halloween Parties cause Magic Kingdom crowds to fluctuate wildly. The Epcot Food & Wine Festival spikes Epcot crowds on weekends. 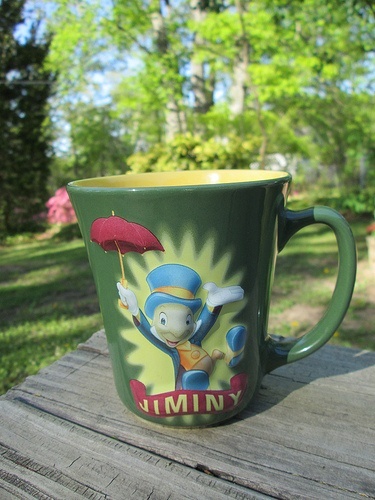 There are no truly empty times any more — Toy Story Mania and Space Mountain lines will get long every day of the year. With fall breaks, Columbus Day, Canadian Thanksgiving, Jersey Week and other regional holidays, a lot of people can shoehorn in a visit to Disney World during this season. Maybe it’s cold where you are, but this is Florida — average historical highs for the end of October are still 80 degrees! Disney’s water parks stay open and are very pleasant to enjoy well into the fall. Hurricane season lasts through November and peaks in September. Although it’s rare for a hurricane to greatly affect your Central Florida visit, frequent rain showers will be part of an autumn vacation. You’ll probably use a poncho and a sweatshirt (if only for the air conditioning) during a fall visit. While it doesn’t have the festivity of December or the exuberance of spring break, fall is anything but dull at Disney World. Disney schedules special events like the Food & Wine Festival, Wine and Dine Half Marathon, and Mickey’s Not So Scary Halloween Party to keep tourists coming this time of year. And if you feel like getting into the holiday spirit extra-early, Christmas decorations start appearing right after Halloween, with Mickey’s Very Merry Christmas Party debuting Nov. 7. Touring in the fall creates some special planning challenges, especially this year. 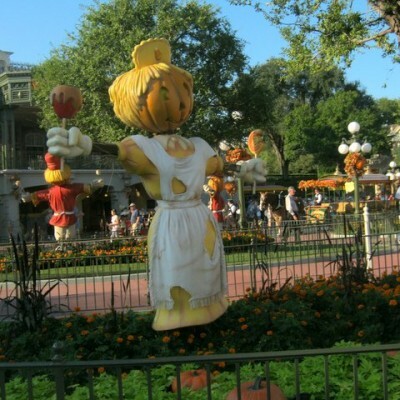 The Halloween and Christmas parties close the Magic Kingdom early to regular guests up to four days each week. The remaining days have longer hours but above-average crowds to see the limited nighttime parades and fireworks. At Disney’s Hollywood Studios, Fantasmic’s time depends on sunset. We currently have no idea how late Animal Kingdom will be open with the new attractions of Rivers of Light and Sunset Kilimanjaro Safari. Myth #5: Free dining for everyone! The very popular “free dining” promotion that Disney has offered the past few years often pops up in discussions about fall travel dates. The Disney Dining Plan can be a good deal for families and big eaters who want to have their cost fixed before traveling. Unfortunately, this promo has some lengthy blackout dates and might not be the best deal offered. You’ll likely have better luck securing a room discount of up to 30 percent during this time of year as Disney tries to fill resort rooms. 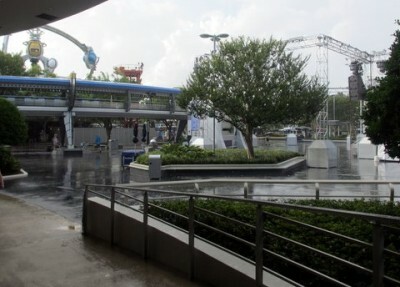 Because of Myth #1 and despite Myth #5, tourists who haven’t been to Walt Disney World recently might believe the World operates like the real world. Not so. Cinderella’s Royal Table, Be Our Guest, and other popular restaurants will still book out six months in advance no matter the season. Even during slow times — and especially when there is free dining — it can be hard to find a walk-up table without a hunt. Making Advance Dining Reservations are key. True story: as a party of two we tried to walk in at Coral Reef in the middle of September, only to be told there were no tables available … for the rest of the month! To get a handle on planning a fall trip, be sure to check any of the online sites (many are free) that chart busy days, park hours, and discounts. If it seems overwhelming, consider enlisting a travel agent to help you sort through your options and make the most of your time and money. 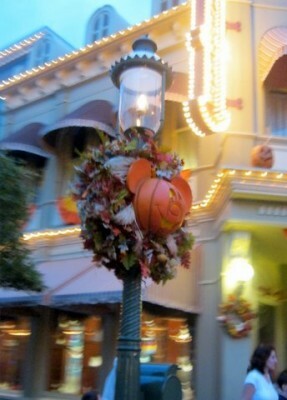 Is fall your favorite season at Walt Disney World? 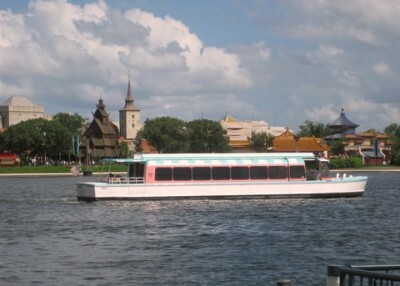 What surprised you about touring WDW in the fall?